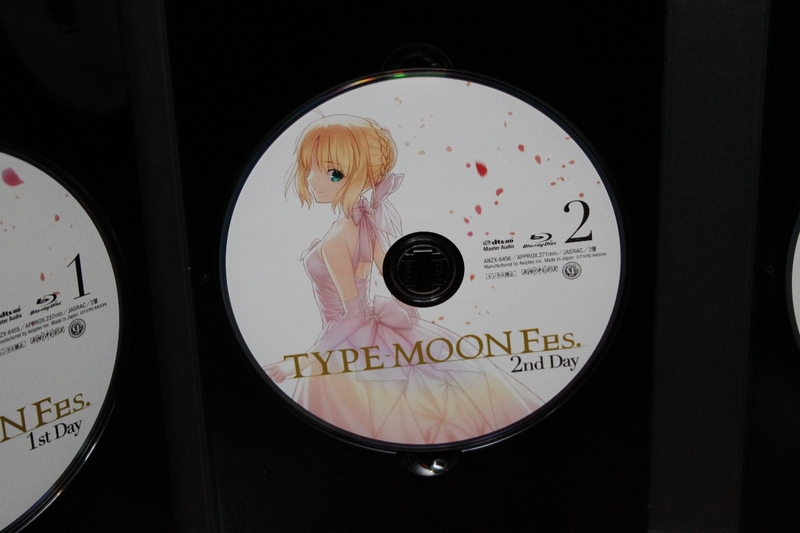 Type-Moon recently held a live event known as Type-Moon FES to celebrate their 10th anniversary! It featured live music, interviews and more on stage and this Blu-Ray set covers the events of the fes. The presentation of the box immediately stands out. It's enclosed in a thick embossed outer slipcase. The back features artwork of the four main heroines. 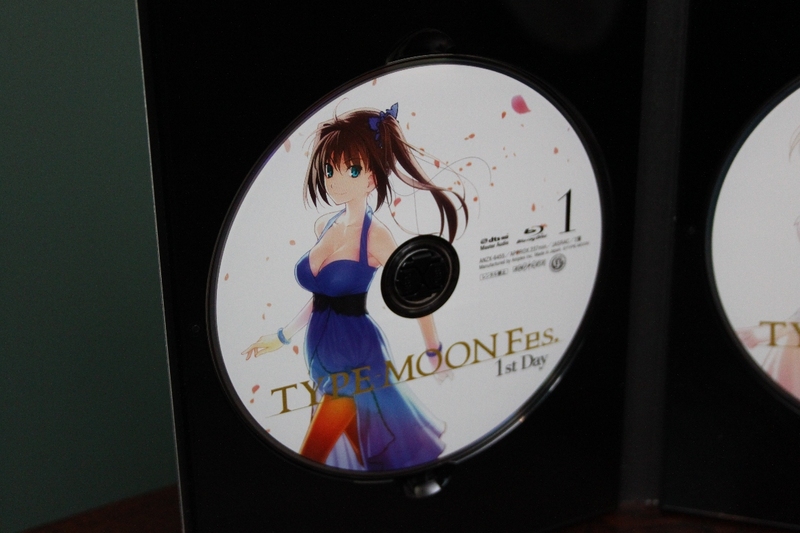 Included is the case for the four disks and a booklet. The case itself has some shiny chibi characters adorning it. It unfolds to reveal the disks. 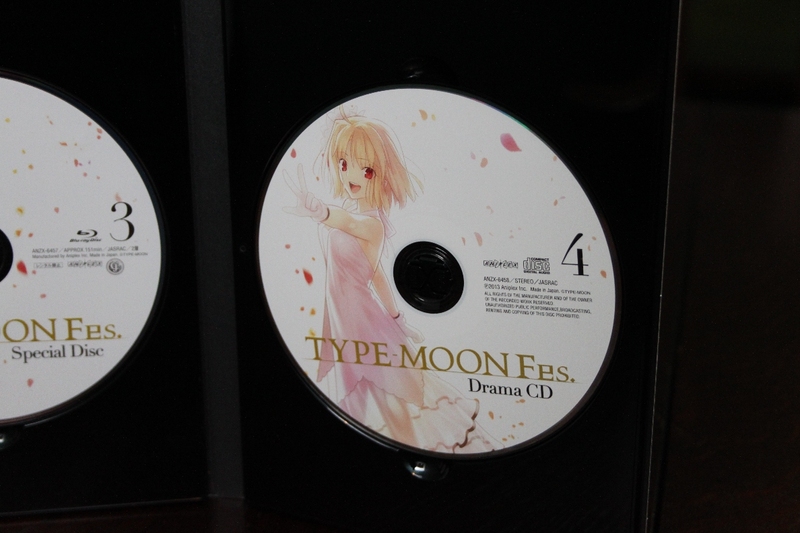 And here we have the four disks. There are three blu-rays and one audio CD; the first two blu-rays are the 1st and 2nd days of the Type-Moon FES live event, the third blu-ray is a specials disk featuring many PVs and the new episode of Carnival Phantasm! The final disk is a drama CD. 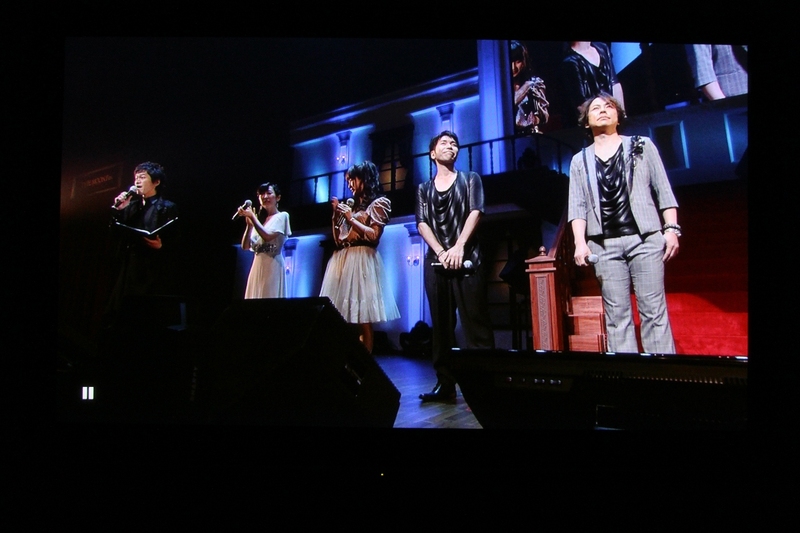 Saber, Iri, Kariya and Berserker's VAs on stage. 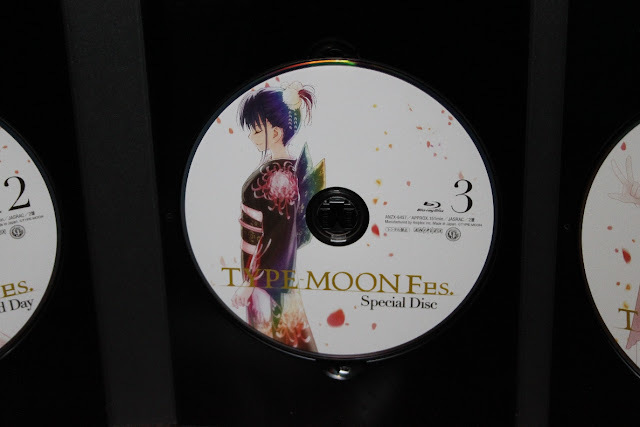 The special disk, featuring the new trailers and some old ones too. The included book is really nice, it's only small with around 36 pages but is nicely printed and includes some foldouts. Chibis of the characters signed by the voice actors. A message from Nasu inside the booklet. 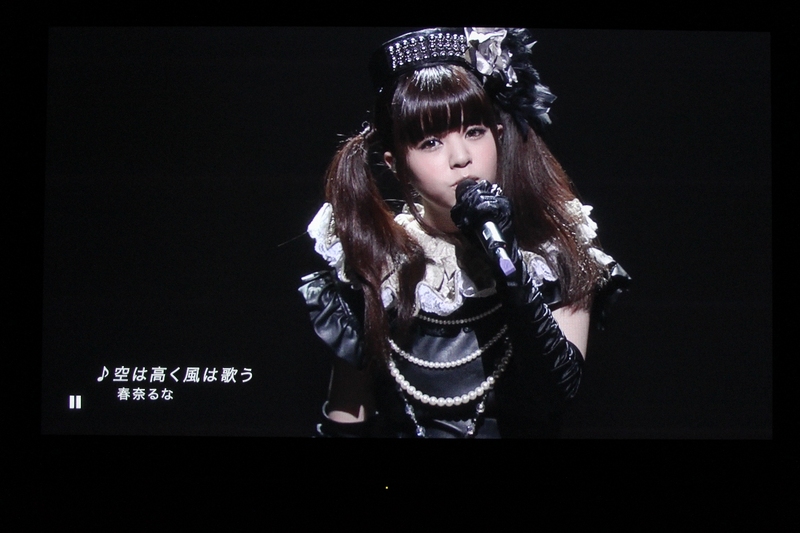 The rest of the shots are just some photos of random parts of the specials disk. I really enjoyed watching this! 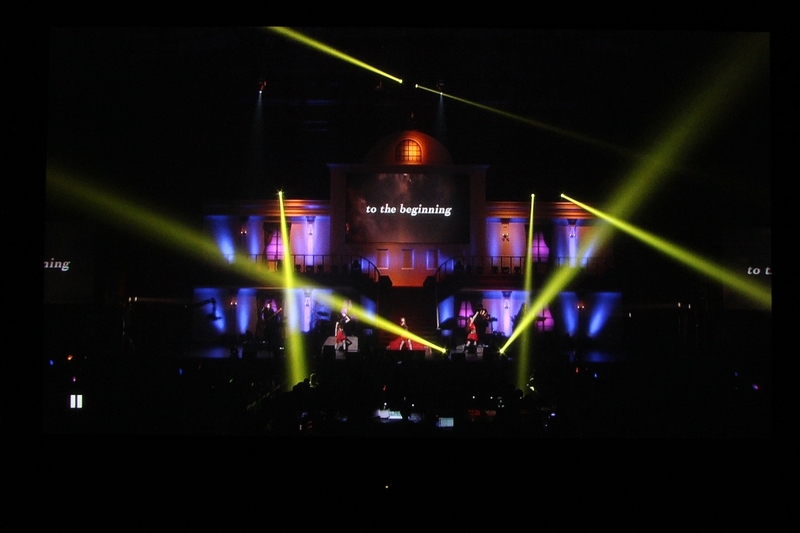 Kalafina was a highlight for me, they were amazing live. The inclusion of the new carnival phantasm is also a great bonus.